Configurations can be exported using the following mechainsms. An export using Management console is considered to be a complete export for a given environment for a dataset. A partial export for the configuration is not supported via the UI. For a partial or selective export, use the API method below instead. The exported file will be downloaded as a .JSON file. Configurations can either be exported using API's or could be queried from the default dataset. 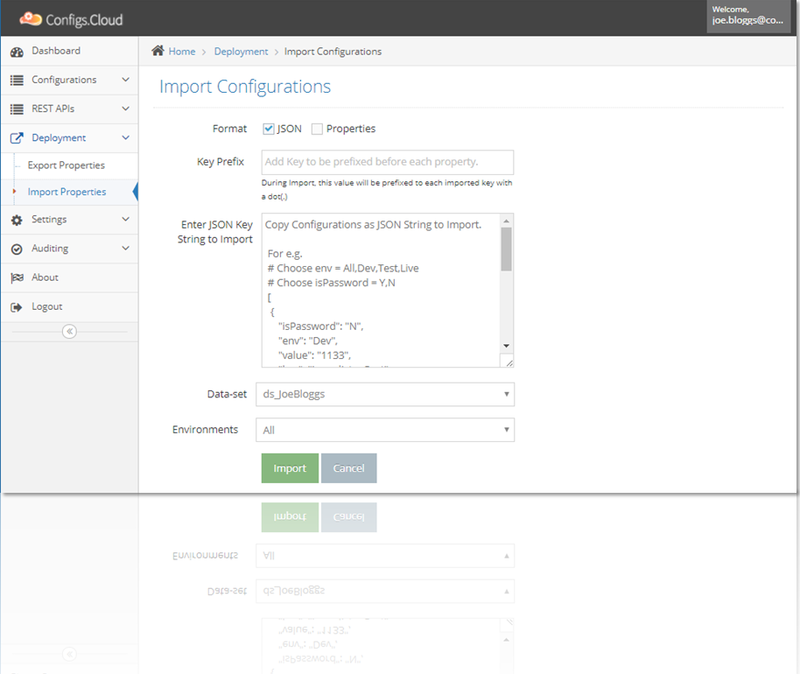 There are multiple Configuration API's which could be used to export configurations out of a given dataset. Refer Configuration REST API's for further details. Query feature could be used to query dataset as needed. Refer Query pages for further details. 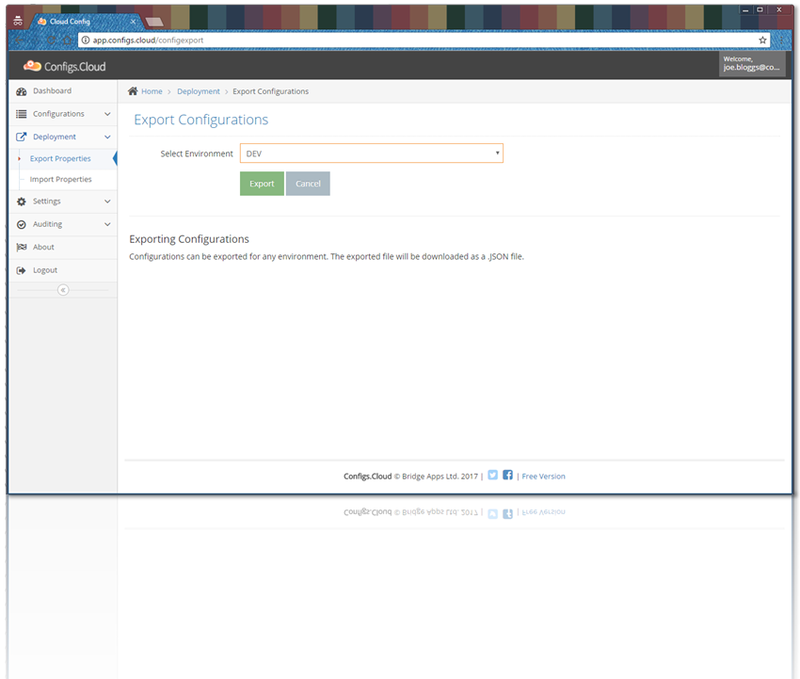 Configurations could be imported using the import functionality under the Deployment menu entry. Data should be in ".JSON" format and should be valid. All invalid data will be rejected with a error on the screen. if a value for a key / env combination doesnt exist in the dataset, a new configuration value will be added. if a value for a key / env combination already exists in the dataset, existing configuration value will be updated. Do note that a new version for the value will be added for every imported configuration. Note: Do note that it is not possible to import configurations via APIs.